SILICON VILLAGE: Now a Mobile Application to Assist Users Adopt GST with Ease! Tally Solutions Private Limited (TSPL) , a premier Indian software product company, today, announced the launch of its GST mobile application to ensure easy adoption of the Technology led law. The app will be a rich source of information on Goods and Services Tax (GST) for businesses and will help them with understanding GST and its nuances. 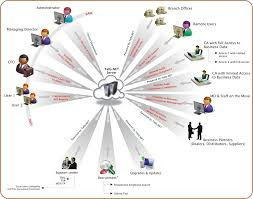 Its user friendly interface has been designed to cater to both sets of users - those who are adept with technology and those who are easing into the use of technology, for better understanding and automation of their accounting practices. This free enterprise application can be downloaded by Android and iOS users from their respective App stores. Tally has conducted over 170 events across the Nation with various partners for GST awareness and training of small businesses. Tally powers more than a million businesses and is constantly mobilising its manpower and systems to help ease of transition of their existing as well as additional users to GST regime. Tally is proactively taking initiatives to impart the right knowledge and training for GST compliance and enablement right from the grassroots level in the country.